This year's new season follows the successful Targhee II MID. The new model has become more sophisticated, but thanks to its innovative workmanship and new high quality rubber AL L-TERRAIN soles with a 4mm deep multi-directional pattern, it is a bit tougher than the original model. 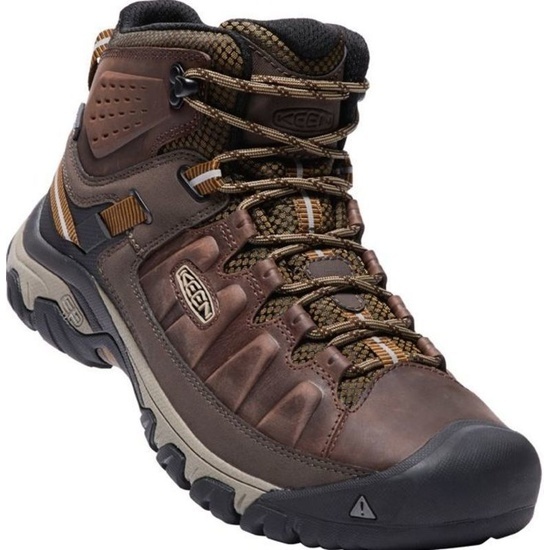 This high lightweight shoe with waterproof and breathable PU membrane KEEN.DRY, which guarantees perfect protection of your legs in harsh conditions, is designed for hiking and medium-terrain. 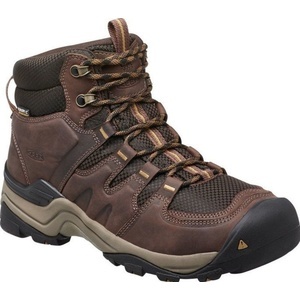 The upper of the shoe is made of waterproof leather and solid mesh. In front, KEEN offers a patented finger protection. PROTECT, the midsole is made of double compressed EVA foam, on the sides above the sole it is equipped with a durable leather trim. Inside, the boot is fitted with a removable double density EVA pad. Better stability for movement in uneven terrain is provided by ESS and TPU-injected arches. The upper part is reinforced with mesh for easy adjustment and fitting of the shoe. The shoe is treated with CLEANSPORT NXT quality, natural antibacterial technology. Spam protection: What is three times three?51?